THURSDAY, Sept. 21, 2017 (HealthDay News) -- Another summer ends, and at least some of America's waterpark attendants may be breathing easier, a new report finds. The research -- conducted at an unnamed indoor waterpark in Ohio last year -- found that high levels of chlorine in water can mix with patrons' sweat and urine to create a toxic atmospheric brew. In fact, the investigation "found that waterpark employees were approximately four times more likely to have work-related [eye] and respiratory symptoms than were employees in other resort areas," said a team from the U.S. Centers for Disease Control and Prevention. Among the 91 workers at the park who agreed to participate in the study, a third (29) were affected with at least three work-related symptoms such as irritated eyes and nose, coughing, wheezing, sore throat, shortness of breath or chest tightness. Twenty-four of those 29 workers were employed in and around the waterpark facilities. According to the researchers, those facilities included "a children's play area, activity pool, rain fortress with a splash area and bucket periodically dumping 1,000 gallons of water, four waterslides, and a hot tub and spa." Poor ventilation is key to outbreaks of illness like these, the CDC team said. In enclosed pools and other spaces, hazardous airborne chemicals such as "chloroform and chloramines are formed when chlorine, the most commonly used disinfectant in aquatic venues [e.g., pools], reacts with other chemicals in the water," explained a team led by CDC epidemiologist Dr. Sophia Chiu. Those "chemicals in the water" are nitrogen-bearing substances that originate with patrons' bodies -- the "urine, sweat, skin cells and personal-care products of swimmers," as the researchers explained. Chemical byproducts created by this mix of chlorine and body fluids can be dispersed if waterparks are well-ventilated, however. But the inspection the CDC team carried out at the indoor park found that "HVAC systems, which play an important role in removing air contaminants, were poorly maintained and not operating properly." 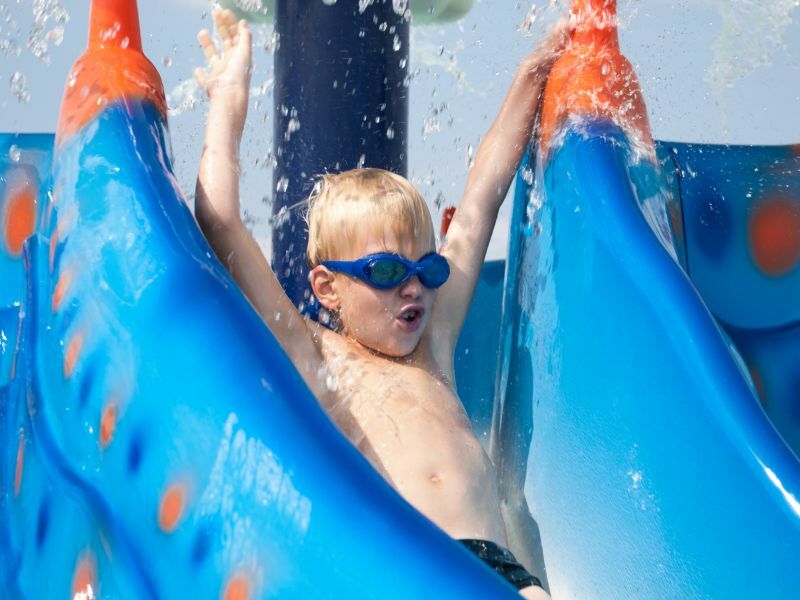 In fact, "the fans of five of the waterpark's six HVAC units were not operational, substantially reducing airflow in the waterpark," the researchers said. Chiu's group stressed that the respiratory symptoms were transient -- employees got better when they left the work environment. But the team also noted that by 2015, millions of Americans were visiting the nation's 192 waterparks annually, so toxic air could be affecting many. The CDC recommends that employees quickly report symptoms to management, so parks can take steps to improve airflow. And what about the patrons, young and old, who frequent these aquatic playgrounds? Besides showering before entering waterpark pools, the CDC "recommends that swimmers take regular bathroom breaks." The study was published Sept. 21 in the CDC journal Morbidity & Mortality Weekly Report.